This manual will help you configure your Yealink desk phone for use with Freedom, our cloud-hosted PBX. The screenshots are from the T21P model. Other models will look slightly different. The settings will be the same, however. Plug in the power supply unit. Connect one end of the ethernet cable to the modem/router/network point and the other to the ‘internet’ port on the back of the phone. Press the ‘OK’ button to establish the current IP Address. Copy the shown IP address in your web browser on your PC. Register status should now say ‘Registering’ and then ‘Registered’. Make sure you give each extension in the network a unique Local SIP Port. For instance 5071 for extension 201, 5072 for extension 202 etc. Ensure that the Local SIP Port and TLS SIP Port are not the same. 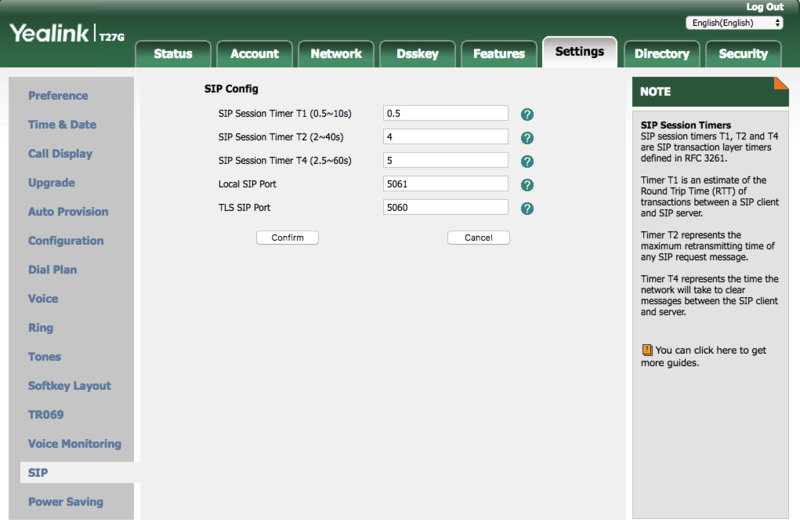 For example, if the Local SIP Port is 5061, change the TLS SIP Port to 5060. Click ‘Log out’ in the top right corner of the screen.